Halo Cigs E-Liquid Review - Are Halo E-Liquids Worth the Hype? One of the top e-liquid suppliers in the world, they have great tasting juice that is manufactured entirely in the United States. Disclosure: Our e-liquid reviews are based upon the experience, testing and skill of our trained paid staff. Links from vapingdaily.com to one of the reviewed products or brands, will allow you to purchase directly from the provider. We receive commissions from these providers; this does not affect your price and helps to pay for the operations of this informational website. To learn more click here. Thank you! A classic tobacco e-liquid blend that gets better in time, the Turkish Tobacco has a subtle sweet taste on top its rich and smoky flavor. Tobacco cigarette lovers often want their tobacco e-liquid to be strong and dry, and Halo has finally produced the Turkish Tobacco for this purpose. It’s a popular and excellent all-day vape for ex-smokers and anyone who just wants it bold and powerful, with a rough feel on the throat hit, just like a real tobacco cigarette. Adding a dash of caramel and vanilla sweetness to smooth tobacco flavor, Halo Cigs gave birth to their most popular e-liquid to date. The Tribeca reminds us of the RY4, with outstanding throat hit and vapor production. The flavor is just the right mix without overwhelming features, nice and suitable for tobacco lovers with a sweet tooth. 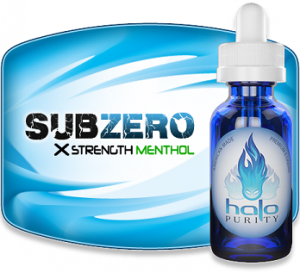 Another top e-liquid from their list, the SubZero is set to capture the hearts of menthol aficionados. It is so far Halo Cigs’ most potent menthol flavor that is clean and pure—without the usual sweetness found in other e-liquids in the same category. It has an exceptional cooling menthol flavor on both the inhale and exhale, with a very mild peppermint twist that gives it a pleasant aftertaste. Probably the chocolatiest amongst all chocolate flavors in the e-liquid industry, the Belgian Cocoa holds a mouthwatering bittersweet flavor that is excellent for all-day vaping. Unlike other brands that try to cover up the ill-tasting artificial ingredients with too much sweetness, Halo Cigs made the Belgian Cocoa with the perfect amount of cocoa bitterness, chocolate sweetness, and great throat hit. 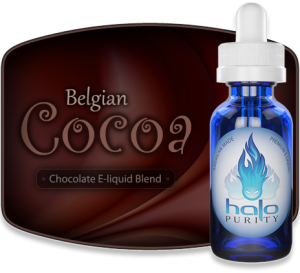 This delectable blend is there as you inhale and exhale clouds of vapor from Halo’s Belgian Cocoa. Like Tribeca less the vanilla and caramel toppings, the Freedom Juice is a tobacco blend with a slight sweetness that gives pleasure to light tobacco smokers. The overall sketch of the Freedom Juice is a mix of tobacco plus ginger and spice undertones. The latter is very minimal in terms of potency, and simply accents the tobacco taste, making it the perfect e-liquid for ex-light cigarette smokers. A smart combination of fruity sour green apples with a rich tobacco base makes this the all new favorite for tobacco and fruit lovers, without overwhelming sweetness. The Granny Smith apple is subtle and not too distinguishable, making it an all-day vape for tobacco enthusiasts. Those who want a fruitier apple flavored e-liquid may find the tobacco base a bit too strong. Halo has been selling some of the best e-liquids for a long time, and even with increasedcompetition they are still one of the top vendors online. Read on for our review of Halo’s e-liquid collection. So what about their juices then? Halo offers a variety of tobacco, menthol and gourmet flavors. They currently have 13 Tobacco flavors, ranging from straight tobacco taste to tobacco flavoring mixed with fruit or dessert flavoring. They are extremely well-known for their menthol flavors, and offer 6 different menthol options, which is actually a lot of different variations. Finally, they have 6 “Gourmet” flavors, which are essentially flavors that can’t be categorized under tobacco or menthol. Click here to skip to the bottom and see a list of all Halo’s flavors. This brings us to a total of 25 total flavors. It’s not the biggest number in the world, but we found that Halo makes up for their lack of selection by making sure all of their flavors are high quality and loved by their customers. Halo’s e-liquid is definitely well-known around the e-cigarette world. They are actually one of the oldest large-scale producers of e-liquid and is one of the biggest e-cig brands in the United States. Like we said, they don’t have a huge amount of flavors, but all of their flavors are well-liked. We received a sample kit (the “Variety” option) and tested them between 3 people. We all agreed that 5 out of 6 were fantastic, while the 6th (Freedom Juice) was a “love it or hate it” type of flavor. Their customers also have left thousands of reviews of their e-liquid purchases on their website, where not a single flavor currently has below 4 out of 5 stars. This is a sign that their juices are very well-liked and have a large fan base. Halo is definitely an e-liquid brand that most people can agree has high quality, great tasting juice. Disclosure: We receive a small commission if you buy the reviewed e-liquid using the provided links. This helps us to maintain this website. Voodoo 86% Tobacco Complex assortment of flavors including black currant, grape, plum, and a touch of cinnamon. They only come in 7ml and 30 ml bottles so you might have to adjust your order accordingly. The 7 mL bottles run for $5.99 and their 30 mL bottles run for $19.99, which are very good prices for quality e-liquid. They also have a selection of sample packs so that you can try a variety of flavors before you decide which is for you. They have 4 different sample packs (Tobacco, Menthol, Gourmet and Variety), each coming with 6 different 7 mL bottles. In One Sentence: Quality over quantity e-liquid that is made in the USA by a trusted company. Halo takes a quality first approach to their e-liquid production. First and most importantly, they manufacture all of their e-liquid inside of the United States. But they also test and document every batch of ingredients, ensuring it is a minimum of 99% pure before actually making their e-juice. It is companies like Halo that understand the importance of a good smoke juice that are leading the way for all the others. 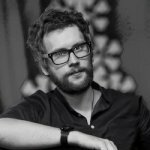 While they might look like a huge company with endless resources, don’t let the slick site design fool you. They might not be exactly small, but they pay close attention to the operations and their e-liquid production. A trait most commonly associated with smaller businesses. Halo also offers free shipping on all order over $75 and while that might seem a bit high, I suppose it all depends on how you shop. Personally I hate running out of juice and then having to order more and wait for the next package to come. Because of this, I started making my orders larger a long time ago, and a free shipping offer means it makes more sense than ever. Not only do I like to take advantage of the free shipping, but they also have a rewards program. If you like their juice and plan to make multiple orders, may as well rack up points and collect rewards while you doit. This is exactly why Halo Cigs is one of the best. Quality products, reasonable prices, real customer service and fast shipping, four aspects that an e-liquid company must have to get a high score from us. Henley offers high-quality e-juices as well as different vaping attributes and e-cig starter kits. In this review, we'll talk about their e-liquids. No question that have amazing service and top notch flavors. I have an allergy to artificial sweeteners but refuse to reveal which or how much they are using. I’m not asking for trade secret ingredients just the sweetener. I’ve had to move on. If you have no issues with artificial sweeteners game on! Best customer service. Shipping is extraordinary! Honestly I hate to move on but for the sake of my health I must. Quitting smoking shouldn’t kill you!